Fashion blogs and magazines worldwide are calling espadrilles the essential summer shoe because they combine style with comfort and versatility: you can wear them with everything from a summer frock to shorts. For the uninitiated, espadrilles “are normally casual, flat, but sometimes high-heeled shoes-slippers with a canvas or cotton fabric upper and a flexible sole made of jute rope. In the last few seasons they have been revamped by designers with new colors, textures, and styles”, according to the Vogue Italia website. With so many gorgeous pairs to choose from, stylists have provided a plethora of outfits to inspire you to try this trend. 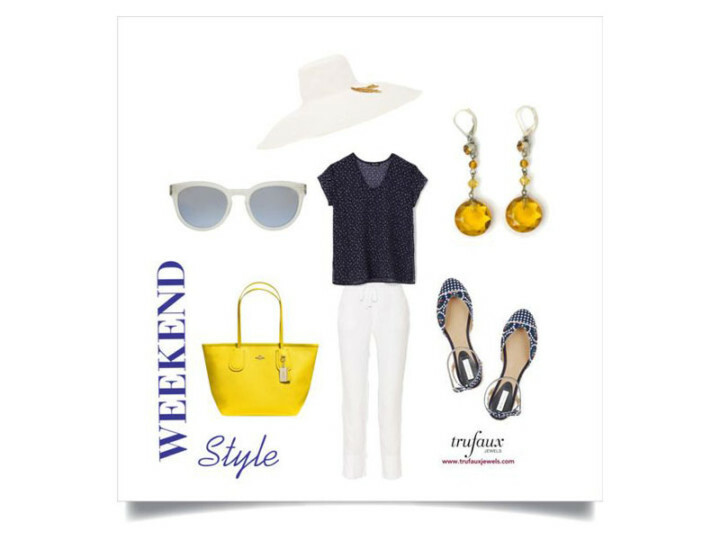 With my focus on vintage costume jewelry, I have created a collection of weekend/off-duty ensembles that feature elegant TruFaux Jewels with elegant shoes. 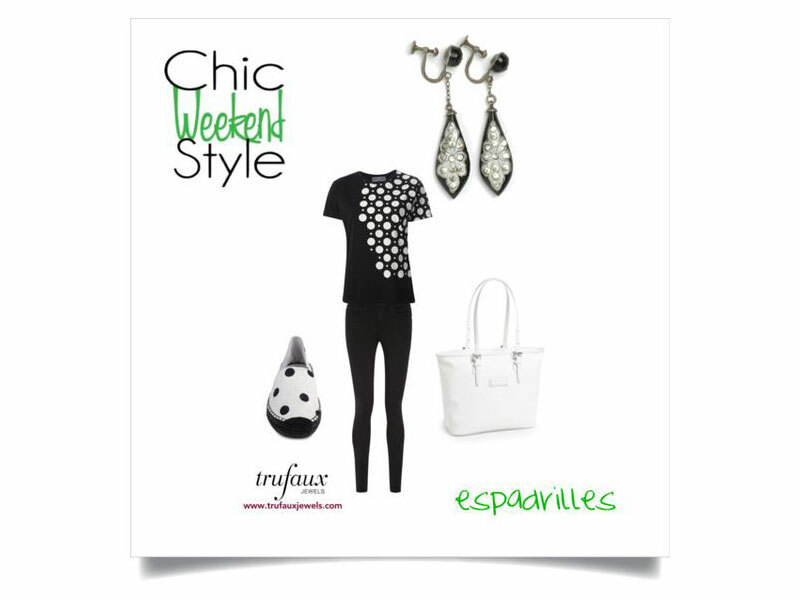 I put together this collection of outfits – Weekend Look: Espadrilles – to meet the specifications of a Polyvore contest that I entered. For this reason, these ensembles are all casual, but they are also complete looks that can take you to a range of places. You’ll see some of the latest trends (aside from the espadrilles) as well as everyday basics that you may already have in your closet. 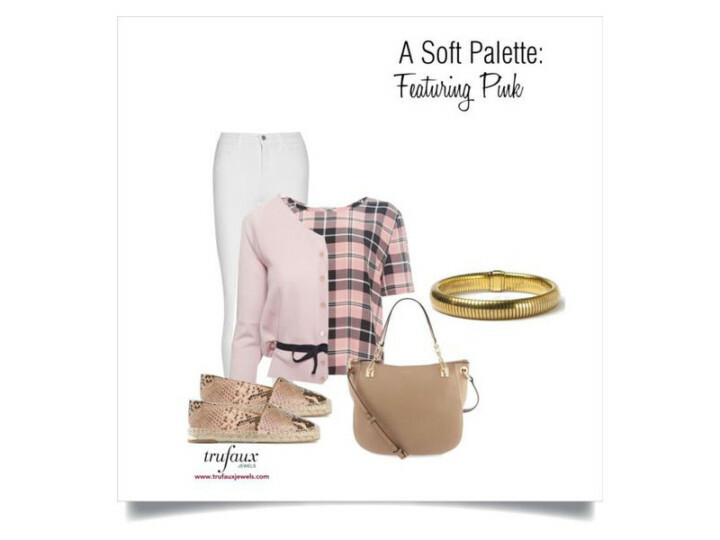 The glorious range of colors and patterns in the shoes inspired me to accessorize with colorful vintage pieces that are stylish and versatile: this jewelry can be worn with casual clothing, to the office and out for the evening. 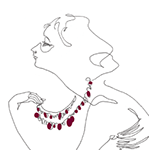 I hope this collection inspires you to express your personal style with vintage costume jewelry. The outfits presented below are in slide-show format. The images are embedded with the data from the Polyvore website. If you like a particular outfit and want to see the detailed descriptions and prices of the items shown, just click on the image to be transferred to the Polyvore site. Read my blog post Paper Dolls for Grown-Ups, if you want to find out how this platform works. Which of these sets do you think is a winner?